Download the drum chart I used with Mr. Bill during the 2016 North America tour. An incredible tour with Mr. Bill through the USA and Canada has all wrapped up. 24000kms (15000 miles) on the road with an awesome crew taking on 30 shows from California to British Columbia, New York to Florida, Louisiana to Colorado all book ended in surreal fashion by time spent with Patrick Leonard in the bizarre Simi Valley outside Los Angeles. Thanks Pat, for the wisdom, hospitality and legendary DW drumkit I was lucky enough to take on the journey. Previously used in sessions by Vinnie Colaiuta, Jeff Porcaro, Kenny Aronoff and more. 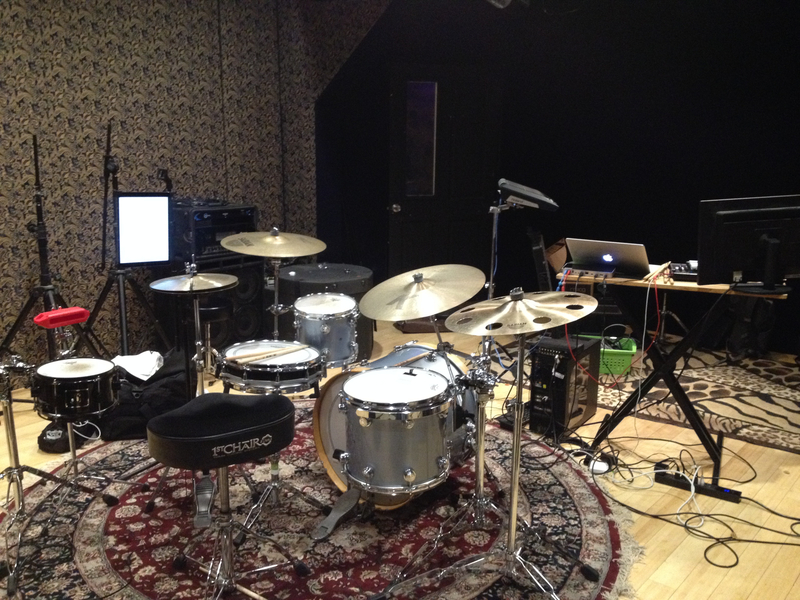 The same kit used on Madonna’s “Cherish”. Amazing. 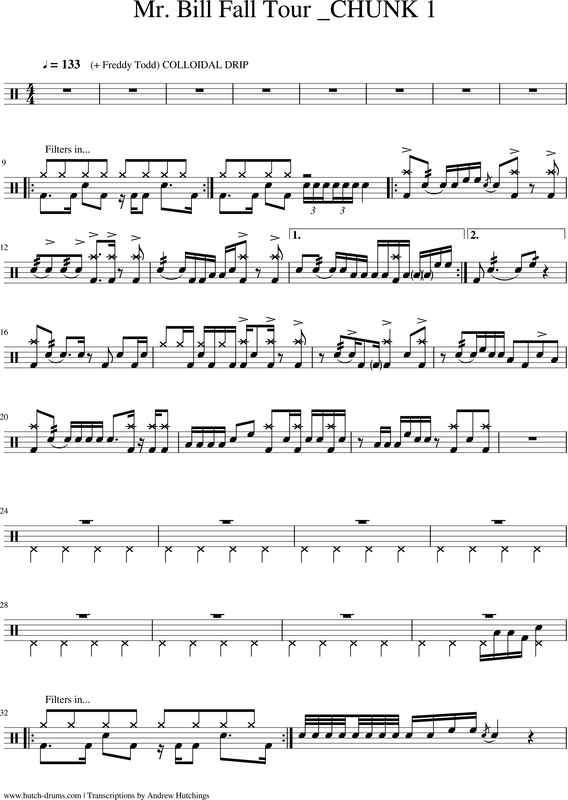 Here’s the transcription in full that I took with me and referred to at every show to aid locking in with the programmed drum sections in Bill’s crazy, constantly morphing instrumental set (refer to the PDF for the full chart). Have these transcriptions assisted your practice or teaching? Make a donation.